The Australian Guardian reported on Tuesday that the Aussie government is to set up a new inquiry into e-cigs. The health minister Greg Hunt has agreed to an independent inquiry into the health impacts of nicotine e-cigarettes after a concerted push in the Coalition party room over several months to legalise vaping. Several MPs raised the issue in Tuesday’s party room meeting, saying there was widespread support within the government for making nicotine e-cigarettes legally available. This is significant considering Greg Hunt famously said that legalisation of vaping would never happen ‘on his watch’ last year. The CSUR came under fire when it published the Pleasure of Smoking report because, among other things, CSUR receives some funding from (you guessed it) the tobacco industry. Notable British American Tobacco and PMI. On Wednesday, September 12, 2018, FDA commissioner Dr. Scott Gottlieb announced enforcement actions to be taken in the wake of unpublished “preliminary data” showing an “epidemic rise” in vaping among young people. Although the new data are not publicly available, Dr. Gottlieb is referencing it as justification for drastic enforcement actions like banning flavors and pulling entire product lines off of retailers’ shelves. Last year, nearly 400,000 smokers in England quit successfully, which is the equivalent to 1,069 smokers each day. Despite new smokers starting and ex-smokers relapsing, there are now 1 million fewer smokers in England since 2014. 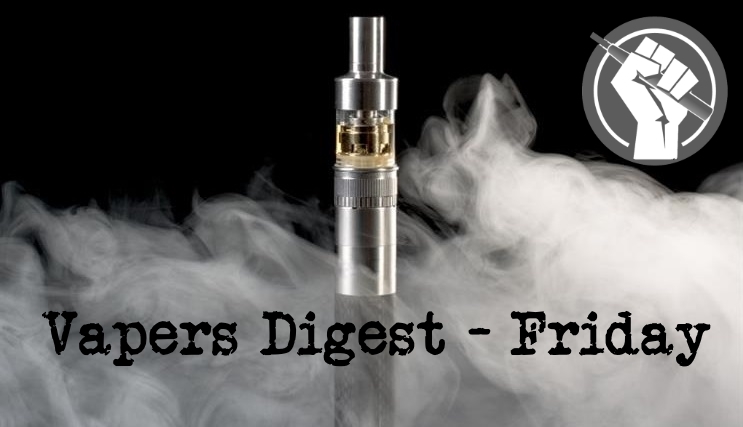 From reading this title, many vape advocates and industry professionals may immediately take a defensive stance, assuming the title suggests that vaping is an extension of the Tobacco Control Industry. Needless to say, this is not what the title implies. However, when analyzing the ways in which vapers define what vaping essentially is, it becomes clear that vaping is undoubtedly responsible for controlling tobacco. Helen Redmond is an academic specialising in substance use at the New York University Silver School of Social Work. She addressed the 2018 Global Tobacco & Nicotine Forum (GTNF18) last week, declaring that access to cheap harm reduction tools like electronic cigarettes is “a human rights issue”. Experts, industry leaders and innovators met up at the Rosewood hotel in London for presentations, discussion and networking at GTNF18. As is customary nowadays, vaping featured high on the list of conversations due to the way it has disrupted the tobacco markets. The government of India attempted to ban vaping across the entire country last month. They failed due to a court decision, so it instructed the individual states to implement bans instead. Tamil Nadu becomes the seventh state to implement such a ban – but has gone further by criminalising vapers for owning vape products or vaping. We implore the members to acknowledge that the use of ANDS are part of an effective harm reduction strategy, as required and defined by Article 1(d) of the Framework Convention on Tobacco Control Treaty (FCTC) and recognise the potential of the use of novel nicotine consumption products’ potential for reducing smoking rates; and to reverse the contradictory stance taken at COP7 in 2016 advising member states they could also ban vaping products outright as part of a tobacco control plan. Chicago will be on the leading edge of efforts to reduce e-cigarette usage if a mayoral proposal to toughen the city’s laws passes. A City Council committee will consider a proposal Thursday that would roughly double the tax on e-cigarettes and require the devices and related products be sold from behind store counters. The policy, introduced by Mayor Rahm Emanuel, is designed to reduce the use of e-cigarettes among young people. Starting next year, Palatine residents and visitors won’t be able to smoke e-cigarettes in restaurants, office buildings and other public places where smoking of regular cigarettes isn’t allowed. The new ordinance came after Councilman Tim Millar (District 1) asked village staff to see whether village regulations on electronic cigarettes could be tightened. The ordinance that went before Monday’s (Sept. 17) council meeting simply added electronic cigarettes, hookah pipes and “alternative nicotine product[s]” to the list of tobacco products that residents are not allowed smoke in public places. A new draft law submitted to the Senate proposes e-cigarettes to be banned in public spaces just as the normal cigarettes are, local Digi24 reported. The Senate’s health committee is currently debating the bill. However, the initiative received a negative opinion from the human rights committee, according to Cristian Ghica, an MP representing opposition party Save Romania Union (USR). Much to an observer’s nightmare, policy actions in India seem to be progressively guided by temporary gusts of disconnected causes and events. Government actions, more often than not, tend to oscillate from inaction to a knee-jerk reaction. The recent advisory from the Ministry of Health and Family Welfare, asking state governments to stop sales of E-Cigarettes or Electronic Nicotine Delivery Systems (ENDS) is a stark example to showcase the current state of affairs.